Yet another high-profile security problem has hit e-government services in Singapore, just months after several of the country’s websites were vandalised by hackers. This time, more than 1,500 SingPass online accounts used to check retirement account balances and file taxes could have been accessed without users’ consent. In other words, cyber criminals could have logged in to these accounts, stolen information and already covered their tracks by the time the authorities were alerted on Monday. No loss has been reported, according to them, but how would a user know if someone has taken a screenshot of all their details? Revealed to the public yesterday, this breach of security is perhaps the most serious yet for e-government services here. This despite the authorities saying the system was not compromised and going on to caution users to secure their passwords. Rather than point the finger at users, the Infocomm Development Authority (IDA) should have taken the advice from many quarters of the industry to beef up security for the SingPass system over the years. It could have done with some of the security measures already commonly used for trading shares online or transferring funds through a bank. This so-called two-factor authentication (2FA) requires users to log in with an additional password flashed on a physical token. Banks and other financial institutions in Singapore have been using the technology for years now, again after several high-profile break-ins in the past. For some reason, the SingPass system doesn’t use this. It still only requires users to log in with their IC number and a password on its website. That makes it relatively easy for a hacker to guess the password and get access. 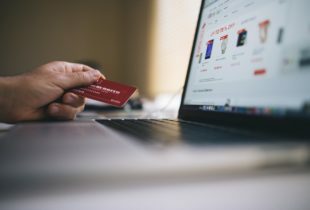 He can do this by running an automated script to try logging in with thousands of combinations, for example, with birthdays, names or addresses. The authorities only found out the problem after some users received letters informing them they had reset their passwords, when they had not. Some got SMSes telling them the same. Piecing things together early this week, the IDA deduced that there was potentially unauthorised access. 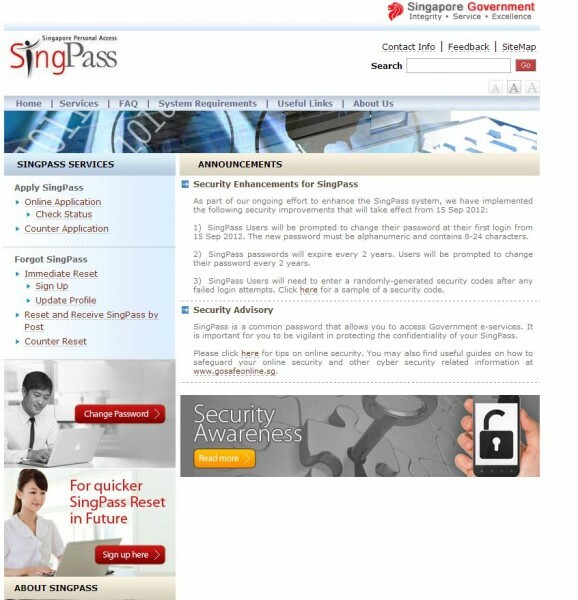 At the time of writing, neither the SingPass nor the IDA website had posted any warnings on their homepages. Surely, they can do better to inform citizens that their accounts may well be compromised. Yesterday, IDA managing director Jacqueline Poh said the IDA “continues to explore” the use of 2FA in e-services, especially those with sensitive transactions. Presumably, the government believes that information such as one’s CPF (Central Provident Fund) balance isn’t sensitive enough to warrant more security, then? What about the filing of taxes? If users have their personal data stolen, can the IDA simply say that they had not secured their computers or protected their passwords? In a similar scenario, a non-government organisation could have been hauled up by the authorities for not better protecting user information, under a stricter data protection regime today. The irony is that the IDA owns a subsidiary called Assurity, which has been pushing for the adoption of such 2FA security in Singapore. Unveiled in 2011, it could have started issuing tokens to users by now, possibly preventing the issue today. Why SingPass hasn’t been beefed up is truly a mystery. It has been an easy target all these years and finally, now, users are facing the consequences.